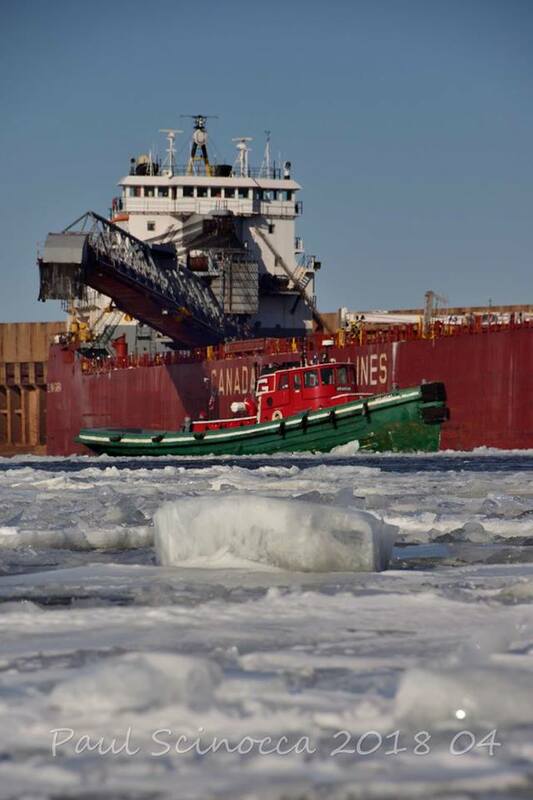 Paul Scinocca captured this interesting photo of the Great Lakes Towing tug, Arkansas providing departure assistance this Saturday for the CSL Niagara. View more of Paul's photography Here. I read that wind had blown the ice enough that the plates had shifted in Whitefish Bay and they had to cut a new trail for the ships to get to the Soo. Weather, ice and the amount of boats.... pick your poison. Makes sense... Thanks! What spring!!!! Anyone know of a webcam for the Soo that works? Paul climbs around on the ice. --- Hopefully he has good cleats.